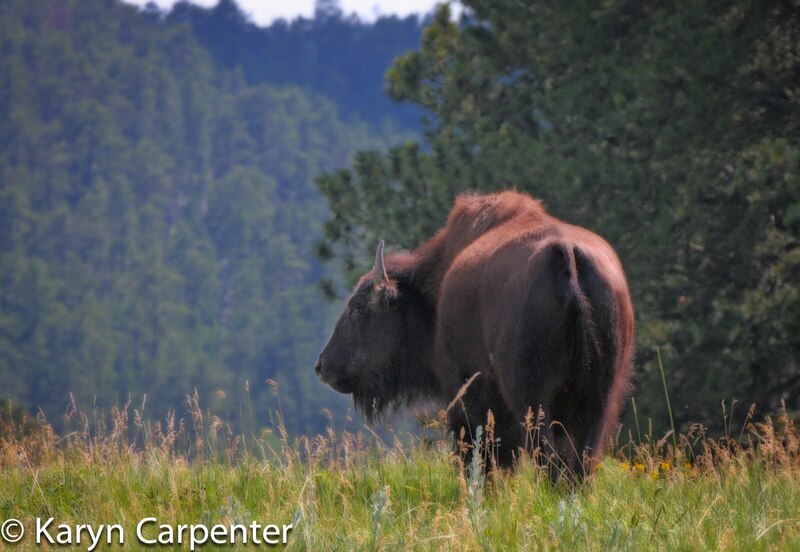 Arayo and I began the next leg of our journey with a ride through Custer State Park in South Dakota where we became involved in a traffic jam created by a herd of buffalo that was lounging on the sides and into the road. Arayo, like a drunk in a rough bar, listened to the giant animals snorting for a while and then began talking back…. Really, NOT the folks to pick a fight with - even if you are encased in metal. Our destination was to visit fellow newf people - Don and Sherrie Hall, who own Castle Rock Newfoundlands outside Scotts Bluff NE. 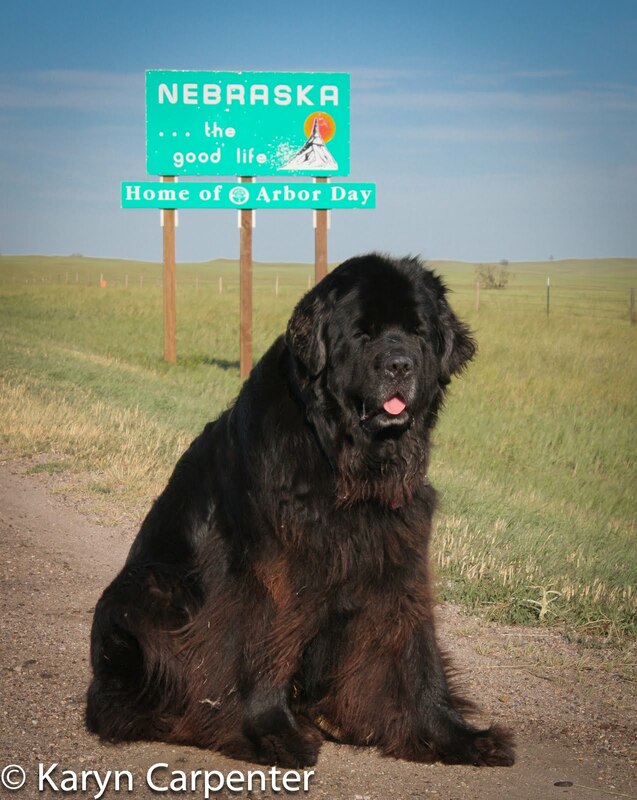 They have 4 beautiful newfs and a 7 pound red pomeranian who rules the household. The Halls bought their farm 5 years ago, and it wasn't until after they had moved onto their new property that they learned that the name of the hill behind their house is "Rattlesnake Mountain"……. Oh, great….. Every stick and electric cord that I see running through their yard sends me jumping 5 feet in the air! What a great adventure your having. Thanks for sharing.